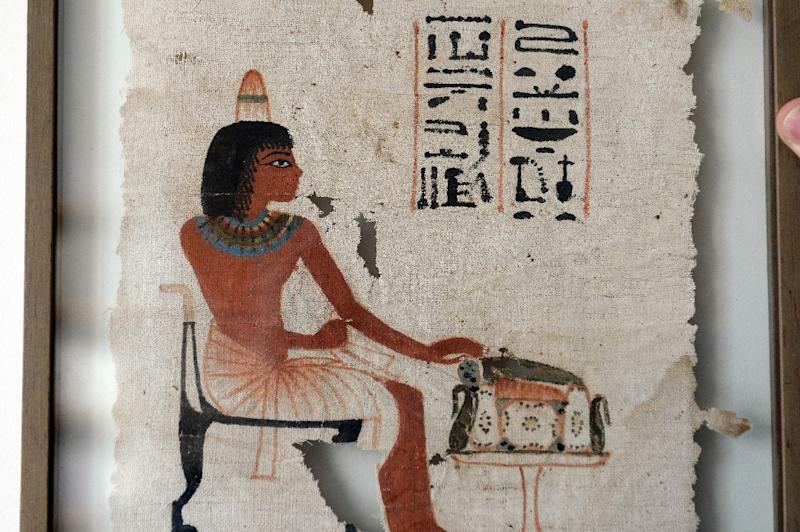 Paris (AFP) - A rare ancient Egyptian burial cloth more than 3,000 years old is to go under the hammer on Thursday in Paris, an exceptional sale of an artefact usually found only in museum collections. 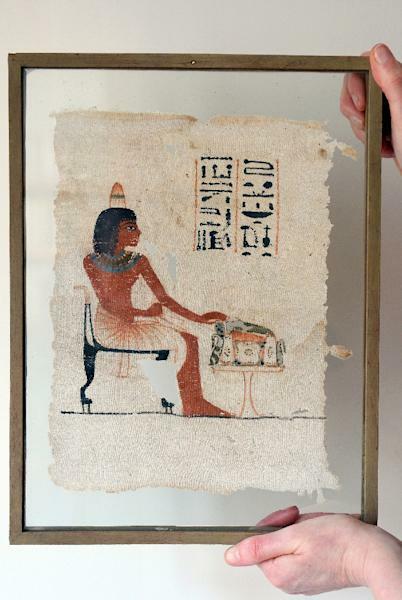 The 29-by-21 centimetre (11-by-8 inch) shroud, which would have been placed on the deceased's sarcophagus, bears the likeness of a man named "Ta-nedjem" or "Gentle Land", who died some 3,400 years ago and who is unknown to researchers. The shroud is made from the same type of cloth used to produce the bandages that wrap mummies and dates from the New Empire, between 1,400-1,300 B.C., a period experts consider a high point of Egyptian civilisation.